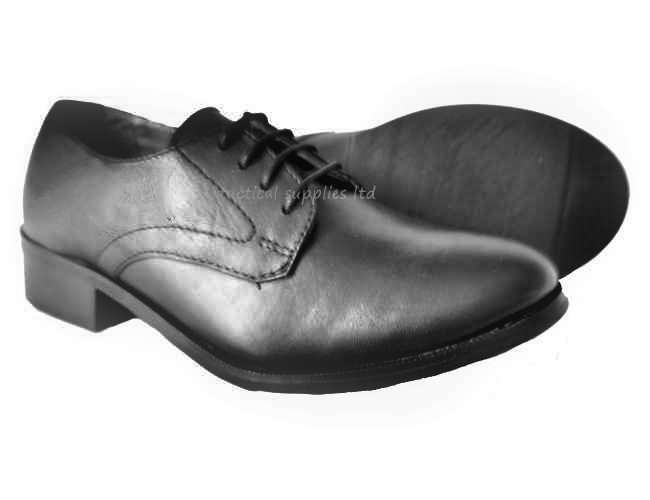 Female, ladies and girls cadet parade shoe is a full grain leather shoe with rubber grip tread. This is an exceptional good quality shoe. PVC sole 4mm thick, laboratory tested for abrasion, flexibility and slip resistance Leather pu coated uppers and padded foot bed for added comfort. This is an extremely good ladies, girls parade shoes.Great for ATC.This is a top quality leather shoe but we have limited sizes. Fully lined and perfect for Cadets. Black KIWI Parade Gloss Shoe Polish premium with silicone. Gives shoes and boots a glass, durable shine.Made of a multi-wax superior blend, contains premium wax and more than everyday polishes, giving in a brighter, water repellent long lasting shine. Cadet Socks in wool mixture in olive& black.